"Golden Job" is a brotherhood movie 20 years in the making! After 20 years, the stars of the 1996 Hong Kong crime film "Young and Dangerous" are back with a bang in a new movie that topped China's box office last weekend. 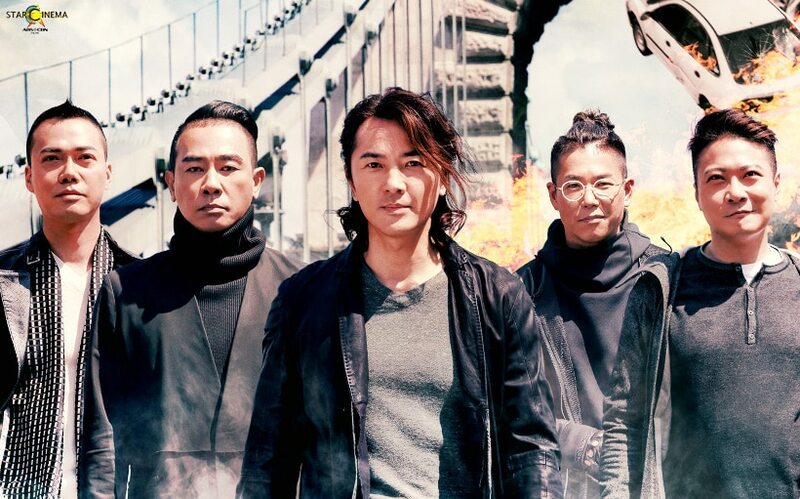 Starring Ekin Cheng, Jordan Chan, Michael Tse, Chin Ka-Lok, and Jerry Lamb, "Golden Job" is "Ocean's Eleven", "The Fast the and Furious", and "Mama Mia!" all in one. Directed by actor-producer Eric Tsang, "Golden Job" follows Crater (Jordon Chan), Bill (Michael Tse), Calm (Chin Ka-Lok), Lion (Ekin Cheng), and Mouse (Jerry Lamb), con artists who got double-crossed by an international drug lord. “The spirit of brotherhood that these five actors share, both on screen and in real life, is a positive energy that our society needs," actor-producer Jackie Chan said in a report. Can their brotherhood save them from betrayals? Catch it in Philippine cinemas starting today, September 26. Craving for a different kind of cinematic experience? This action film is for you!